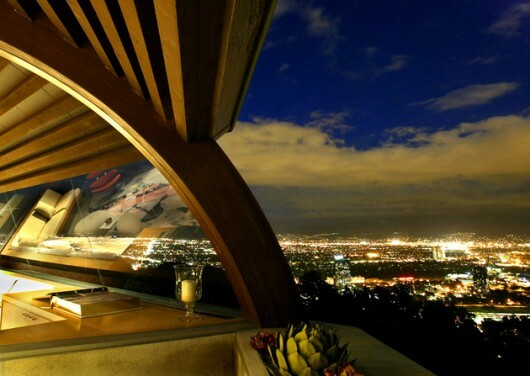 Chemosphere Residence by John Lautner | Shelby White - The blog of artist, visual designer and entrepreneur Shelby White. John Lautner is by far one of my favorite architects. 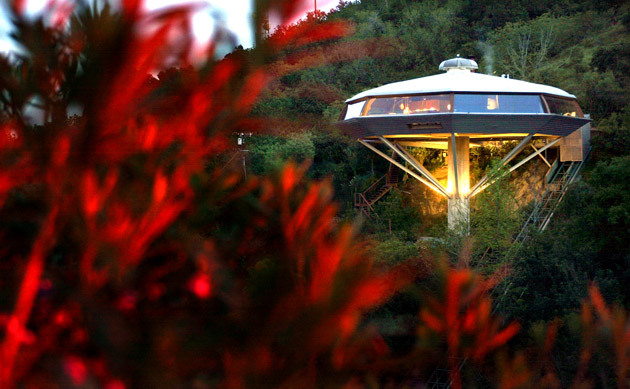 This house titled Chemosphere was built in 1960 and is now owned by Benedikt and Angelika Taschen. The is perched high above the San Fernando Valley in Los Angeles and has gorgeous open views. 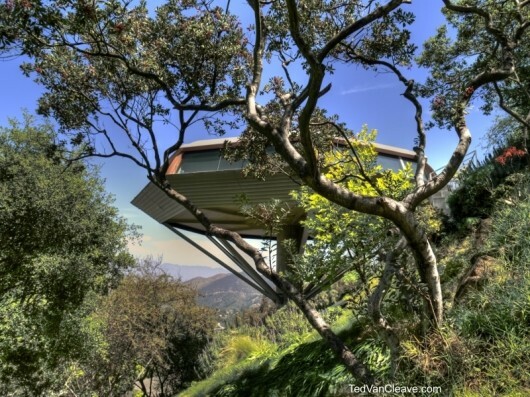 To get to the house, you take a funicular (rail-car) up the hill from 100 feet below the house. As with John Lautner’s other works, my main interest in this home is of course the use of wood, but also the asymmetrical structure. Stunning! This would be amazing to visit and experience this amazing architecture. This is great! 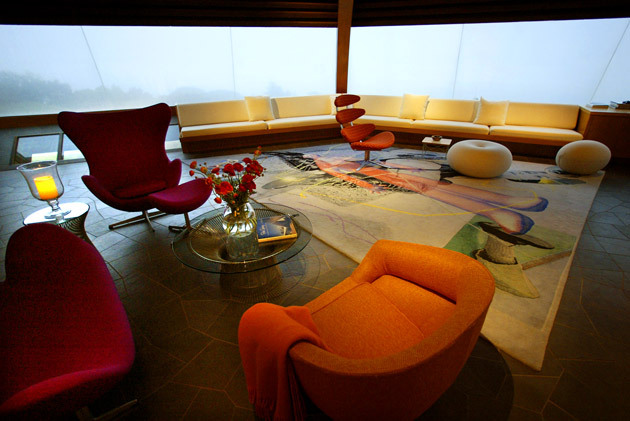 Thank you for sharing this – I’ve been following the blog for some time now but haven’t commented till now. 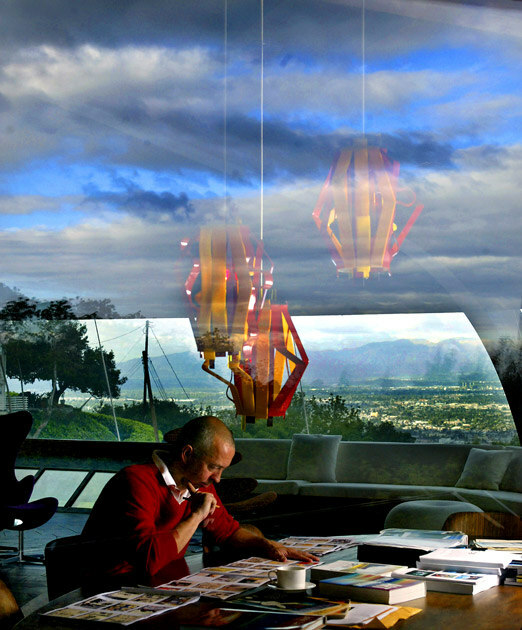 I haven’t seen any good interior pictures of Chemosphere and I love John Lautner’s work. 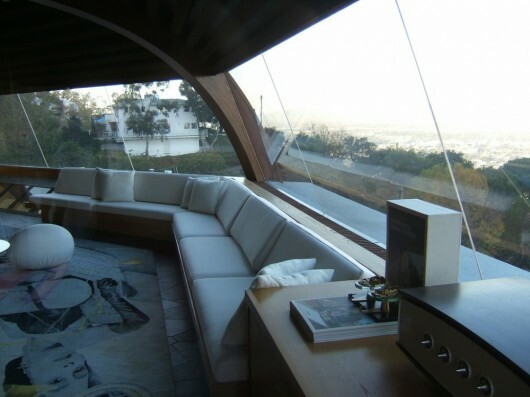 I know Julius Shulman photographed this house, but I haven’t done enough research to find those photos just yet. 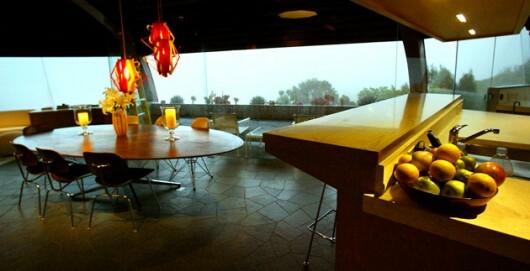 Wasn’t Brian de Palma’s “Body Double” shot in this house (1984) ? 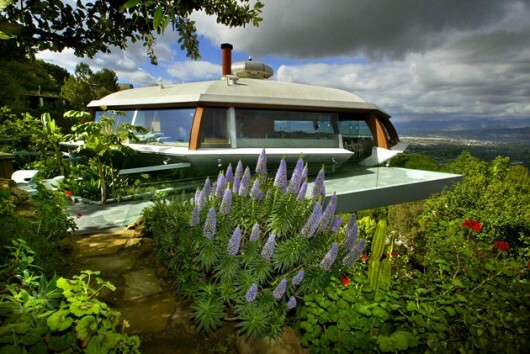 This house was the inspiration for the Jupiter II spaceship in Lost in Space. 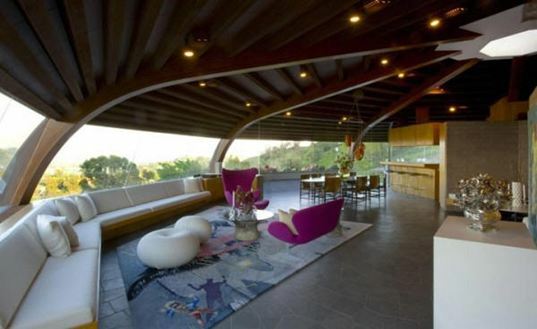 Wasn’t a scene of the Big Lebowski filmed in this house?